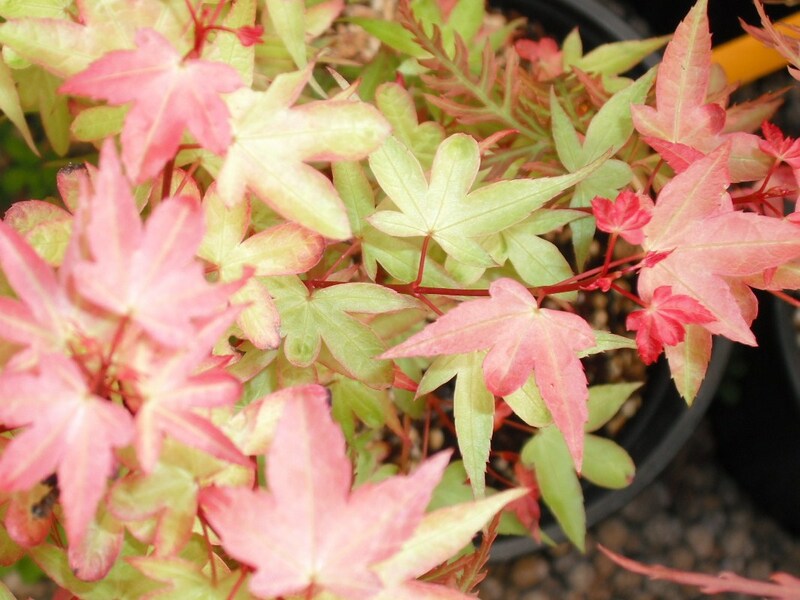 Beni hime creates a dense compact bush, the leaves grow clustered on short leaf stalks. Starting colour pink to rusty red, during the summer it will have a greenish centre. Bright vibrant red for the Autumn. Benefits from light open positions. 3 ft in ten years.